As California becomes the first state in the nation to regulate the use of plastic straws in full-service restaurants, Encinitas must decide whether it wants to extend similar restrictions to fast-food and other takeout establishments. Scheduled to go into effect Jan. 1, Assembly Bill 1884 will require sit-down restaurants statewide to refrain from providing plastic straws unless customers specifically request them. But the law exempts fast-food restaurants. Wang is working with fellow commissioners and Erik Steenblock, the city’s environmental programs manager, to revamp the commission’s proposed straws ordinance. To avoid redundancy with state law, Wang explained that the commission intends to develop a by-request-only policy specific to fast food and takeout. What is unclear at this point is whether that ordinance will only regulate plastic straws — or expand to restrictions on single-use plastics in general. “It’s hard to know whether to go for little bits or the whole nine yards,” Wang said. Either way, the ordinance will require the majority vote of City Council to become local law. Environmentalists predict that by 2050, there will be more plastic by weight in the ocean than fish. “It is difficult to continue to deny that we’ve got a problem on our hands,” Encinitas Environmental Commissioner Amy Flicker wrote to The Coast News. She also thinks the city should extend the straws-on-request policy to takeout. On Oct. 7, the Encinitas Environmental Award Program recognized two local organizations for displaying “exemplary leadership in preserving and enhancing the environment in Encinitas.” The recipients were the San Elijo Lagoon Conservancy in the nonprofit/individual category and Patagonia in the for-profit business category. 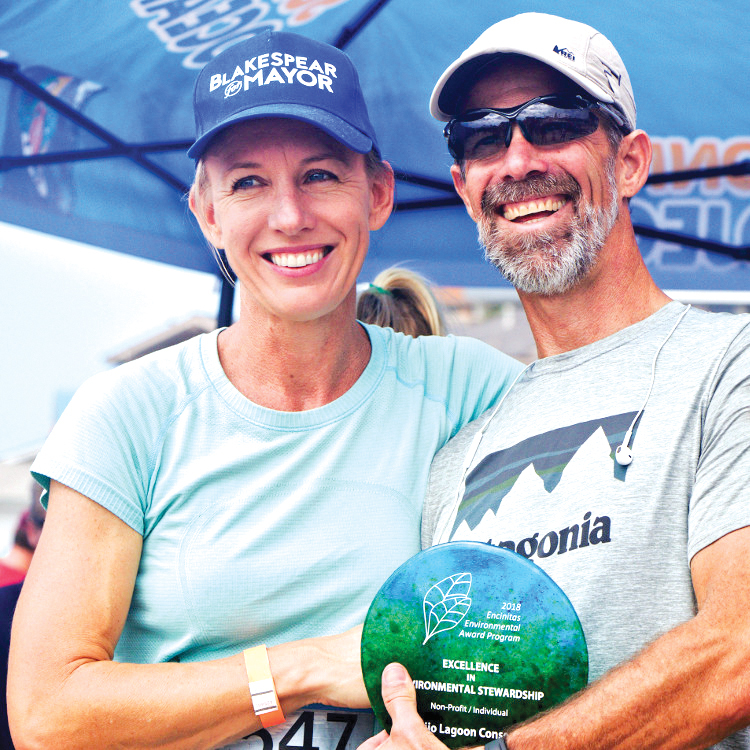 At the Surfing Madonna Beach Run, Encinitas Mayor Catherine Blakespear presented the fourth-annual awards to Doug Gibson, the conservancy’s executive director and chief scientist, and to Bryan Callaway, Patagonia Cardiff’s retail floor lead and an outdoor enthusiast. An environmental event series featuring speakers and field trips could be on the horizon for Encinitas. In his Oct. 11 report to the Environmental Commission, Wang said his idea was consistent with city policies that seek to promote environmental outreach and education in the community. 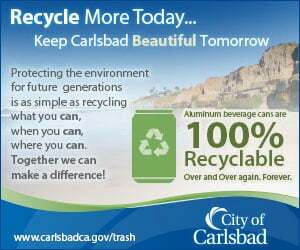 A subcommittee will further refine the environmentally oriented event series before it is potentially presented to City Council. Flicker stated, “One of the most interesting parts of our Environmental Commission monthly meetings are our guest speakers. Great leadership from Doug and Catherine.